It’s the spawn of Demilich and Incantation. That sentence alone should cause death metal fans to take immediate note. “Le Dernier Crépuscule,” the debut album of the pleasantly-named Chthe’ilist, is a record as alien and foreboding as its name suggests. If song titles such as “Into the Vaults of Ingurgitating Obscurity” and “Vecoiitn’aphnaat’smaala” weren’t dead giveaways, it should be noted that even by death metal standards, “Le Dernier Crépuscule” is far from easy listening. Its vocals — sluggish, deep howls and roars occasionally interspersed with demonic croaking — come from beneath the gutter, but may serve as a reprieve from the legitimately nightmarish ambient moans of indescribable apparitions that open and close several of the album’s tracks. So yes, it’s a scary and imposing death metal record. And yes, the only thing more ridiculous than the band’s name was the title of their 2012 demo, “Amechth’ntaas’m’rriachth.” That said, those willing to brave its 53 minutes of nihilistic depravity will find that Le Dernier Crépuscule is also one of the best death metal albums in years. 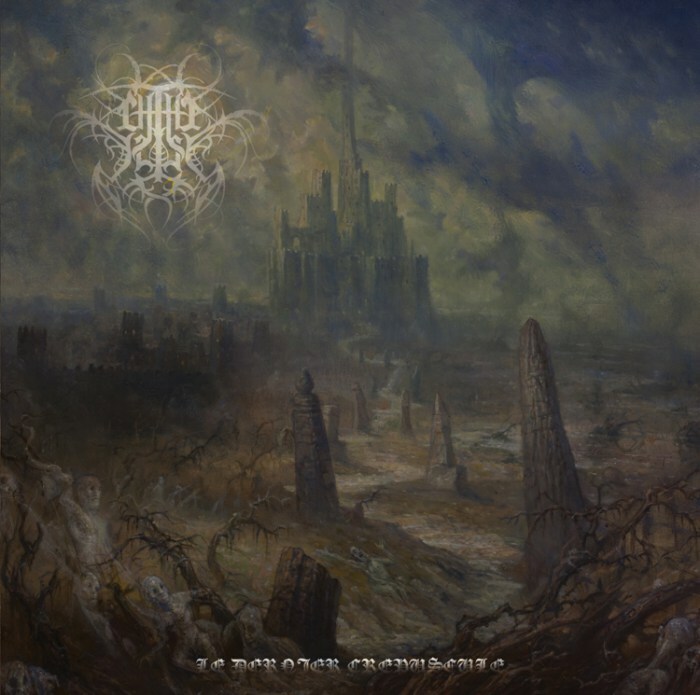 Like its Profound Lore labelmates Antediluvian and Portal, Chthe’ilist shuns death metal’s stereotypical straightforward brutality in favor of haunting atmosphere. However, Chthe’ilist separates itself from its peers with unmatched consistency and a surprising swath of diversity. Minus the intro, the record’s tracks average well over seven minutes in length. Despite this, fatigue and repetition are never an issue. While relatively mid-paced by death metal standards, monstrous vocals and brief bursts of instrumental intensity and the infrequent solo more than satisfy any requirements for extremity. On the flip side, the atmospheric production and chilling ambience serve as an apt counterbalance to the record’s maelstrom of violence. Indeed, it’s not hard to draw parallels between Demilich’s and Chthe’ilist’s sole records. Both albums reek of alien atmosphere, feature immensely creative riffs and have unearthly vocals, although Chthe’ilist’s will prove far more agreeable to most. Although 2016 is far from over and has already enjoyed a number of exceptional records, “Le Dernier Crépuscule” is undoubtedly a contender for album of the year. More importantly, it’s one of metal’s most inventive, exciting and downright terrifying outputs in years and an incredible starting point for the band. If the apocalypse is coming, this is certainly a suitable record for its aftermath.